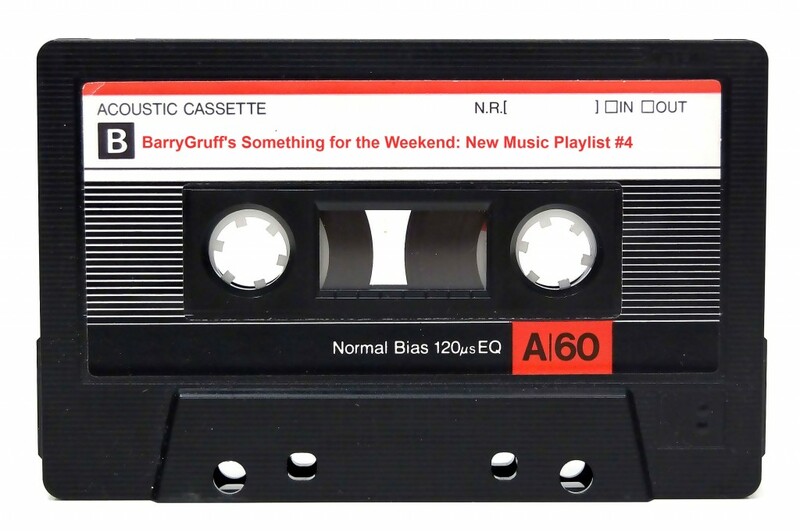 A new feature to blog, a short weekly Spotify playlist series featuring some of the finest new music to prick my ears. Clocking in or around and hour, it’s an easily digestible slice of new music, just in time for the weekend. There’s a nice mix of genres and styles too, allowing me to share even more top tunes for your ears. Well, without further ado, here’s #4. Enjoy! Lo-fi indie noise-merchants Silverbacks have returned, brandishing a new single ‘Dirty Money’; the first track to be lifted from their forthcoming EP Sink The Fat Moon. 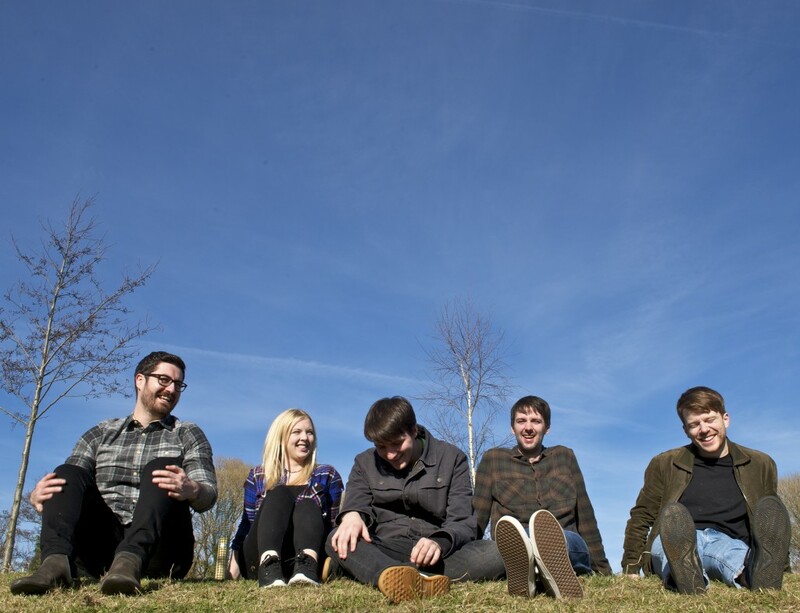 The Dublin-based quintet will release the new EP on May 19 and judging by the new single, we’re in for a treat. Silverbacks have already eked out a solid rep for themselves when it comes to whipping up lashings of ’90s inspired lo-fi fuzz. Another self-produced effort, it a brusque, harmonic three-minutes of masterful indie noise. It slips from languid meanderings to brash, searingly loud riffage with an effortless ease; and swagger to boot. A marvelous & confident return from Silverbacks (with their re-jigged line-up) and it is one of their finest offerings to date. Quite a claim given their propensity to proliferate superb singles. Listen to ‘Dirty Money’ below – you’ll be hooked before you know it! Sink The Fat Moon is out via Miami Records on May 19, pre-order here. Silverbacks support Sea Pinks in the Roisin Dubh, Galway on May 25 & play Whelan’s Upstairs, on May 27 (launching the new EP). Why not get acquainted with Silverbacks’ most recent album, ‘Hot Bath’, released in 2015, it’s ace! You can get that for free from Bandcamp. ‘Losing You’ is the debut single from Mayfly, written, produced and performed by this clandestine London artist. Mayfly has a supreme ear for melody, paired with a sweet and heavenly (folk flavoured) vocal, ‘Losing You’ slowly reveals itself along an easy-on-the-ear bass-line, with layer upon layer of entrancing sounds. Our senses are immersed in a colourful mix of electronics, ethereal tones and swirling synths leaving us with a most captivating, breathtaking and irresistible of tunes. 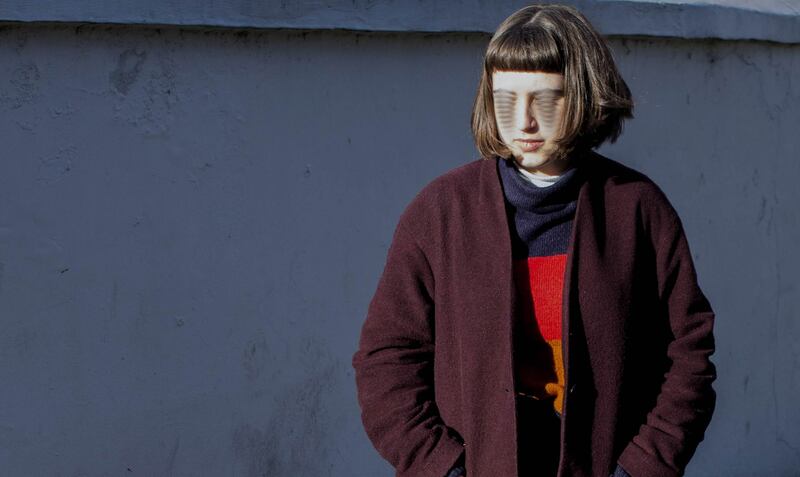 Listen to the crystalline dynamics and intricate sound collage that is ‘Losing You’ below. It does not disappoint! 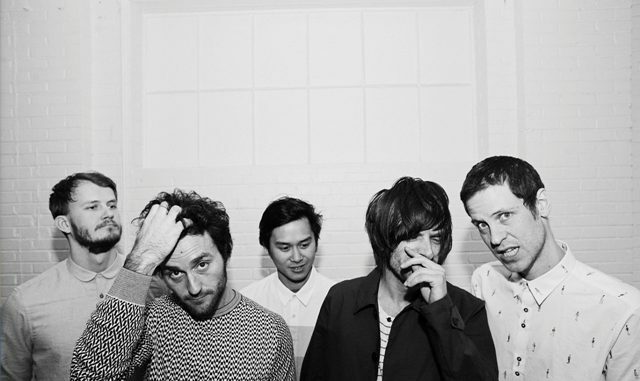 Le Trouble are a Montreal-based quintet – comprised of friends Michael, Max, Garrett, Bao-Kahn and Jesse – with a flair for slick, finely chiselled and upbeat indie. The Canadian outfit’s most recent record Making Matters Worse was released earlier via Indica Records. Lifted from that LP, ‘How Was I to Know?’ offers a bustling snapshot of what they are all about. It’s a spiky, hyperactive and swaggering slice of indie, with burly, compelling vocals soaring above big hooks, a guitar melody reminiscent of The Strokes circa Is This It with a supercharged energy. A blistering, catchy and upbeat piece of punky indie-pop perfection. Magnifique! You can listen to ‘How Was I To Know’ below now. Also, you can stream their latest LP, Making Matters Worse here. Clocking in or around and hour, it’s an easily digestible slice of new music, just in time for the weekend. There’s a nice mix of genres and styles too, allowing me to share even more top tunes for your ears. Well, without further ado, here’s #3. Enjoy! 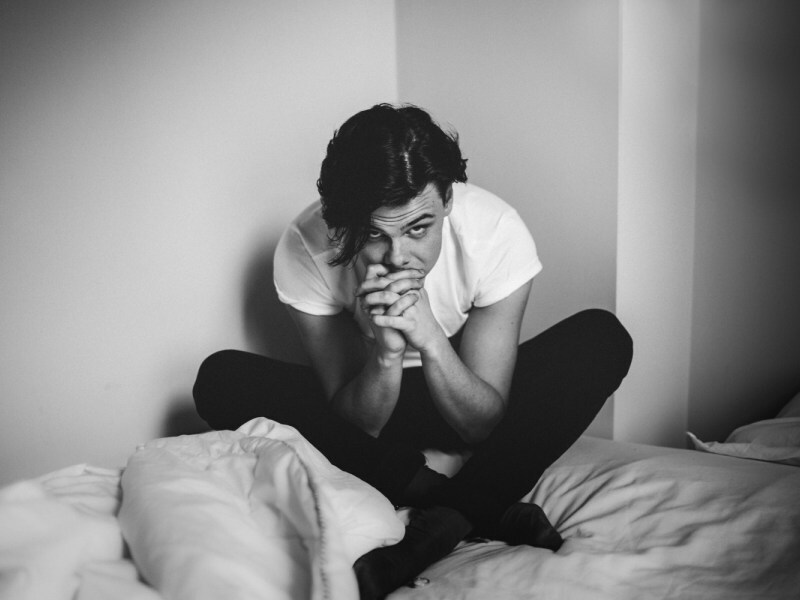 19-year-old Yorkshire-born artist Dominic Harrison aka Yungblud, is pissed off, he’s riled up and he’s going to tell you about it! That is the premise of his debut single ‘King Charles’; a passionate outcry against the misrepresentation of his generation, who as he sees it, are almost entirely forgotten about. Snarling, abrasive and infectiously in-your-face, ‘King Charles’ superbly blends catchy lyrical quips – spat with ferocity – with break-beats, guitar-hooks and bopping pop rock. It’s all well and good being pissed off but you’ve to have the tunes to go with it; something Harrison doesn’t need to worry about. It’s a massively passionate, confident and finely executed first offering. ‘King Charles’ is out now. Tune in below. Bad Pop are the Vancouver-based trio of Chris Connelly (vocals/guitar), Catherine Hiltz (bass/vocals/trumpet) & Aaron Klassen. Self-deprecating titles aside, this Canadian trio are anything but bad – and just a little bit pop. The proof, well, that would be wonderful recent double a-side ‘Same House/Masculism’. It displays two rather different sides of a band with an inherent capacity for the tongue-in-cheek and ace tunes. ‘Same House’ is a sort of hyperactive warped psych-disco-pop that’s as weird as it is wonderful, and catchy as hell. 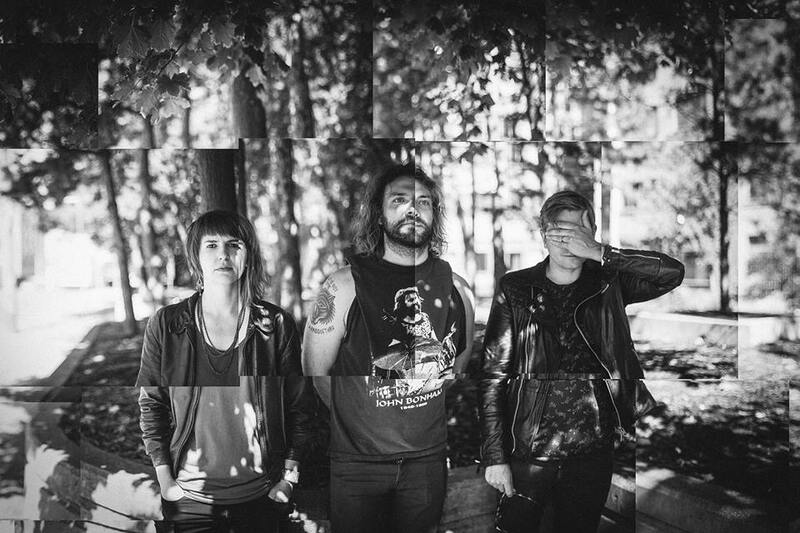 Jerky, art-rock guitar riffs dance with crashing cymbals and to-die-for harmonies. ‘Masculism’ on the other hand, is a hard-rocking stomper; delivering a ferocious brew of pounding riffs, sledge-hammer percussion and raspy vocals. An engaging, addicting and brilliant introduction to a band with exceptional promise. ‘Same House/Masculism’ is out now via Metropolis Recordings. Tune in below. If the double a-side is to your liking, Bad Pop are playing a few shows in the UK in May: Sebright Arms, London (18/05), Bleach, The Great Escape (TGE), Brighton (19/05) & Canada House, TGE, Brighton (20/05). 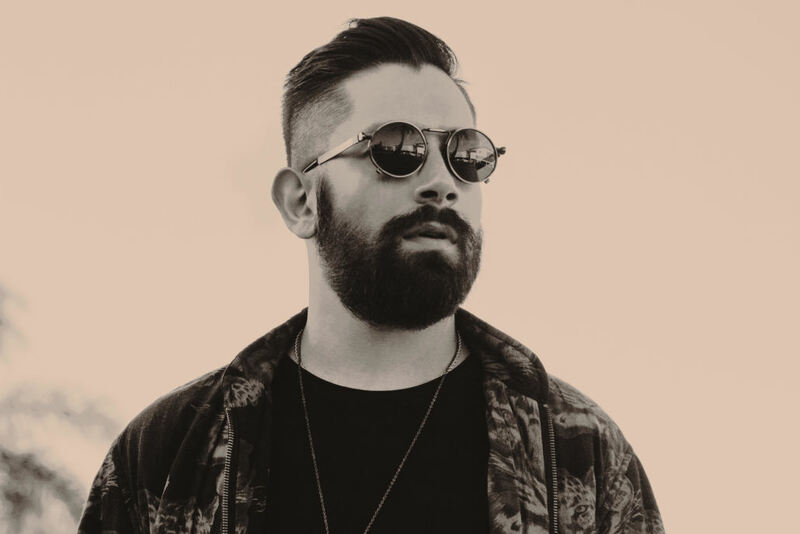 Ahead of his ambitious triple LP release Phantasmagoria, Los Angeles-based, Bulgarian-born artist Kan Wakan continues his relentless quest to keep us enthralled. With ‘Still Feather’ – the fourth single lifted from the forthcoming LP – Kan Wakan further showcases his versatility as a producer, and more than keeps it interesting. Introducing itself with minimalist keys, it builds slowly but precisely, adding layers and flourishes to SAIGO‘s stunning vocals, to blossom majestically into a huge, all enveloping cinematic score. Just when you think you’ve got it figured out, ‘Still Feather’ surprises you once again. Yet all the pieces to the puzzle fit perfectly. A truly captivating track and reminder of Wakan’s powers of composition and electronic production. Phantasmagoria will be out sometime in May but for right now, ‘Still Feather’ has been released. Tune in below. Clocking in or around and hour, it’s an easily digestible slice of new music, just in time for the weekend. There’s a nice mix of genres and styles too, allowing me to share even more top tunes for your ears. Well, without further ado, here’s #2. Enjoy! Channel Swimmer is the alias of London based Welsh beat-smith Mathew Mayes. Mayes’ 2013 album, Alphabet is an epic cut and paste, sampladelic adventure and one of the best and most inventive records of recent years. A master of sound manipulation, Mayes’ is a world of lavish exploration through genres, styles and eras – something continued with his brand new single ‘Poolside’. Taken from forthcoming album Souvenirs, it is meticulously crafted with a breezy, feelgood freshness, combining breathtakingly lush layers, sumptuous strings and flourishes of seductive beats. One to get lost in, ‘Poolside’ forms a real sense of familiarity, oozing nostalgic feelings for hazy summer days and nights. An exemplary talent, as always. 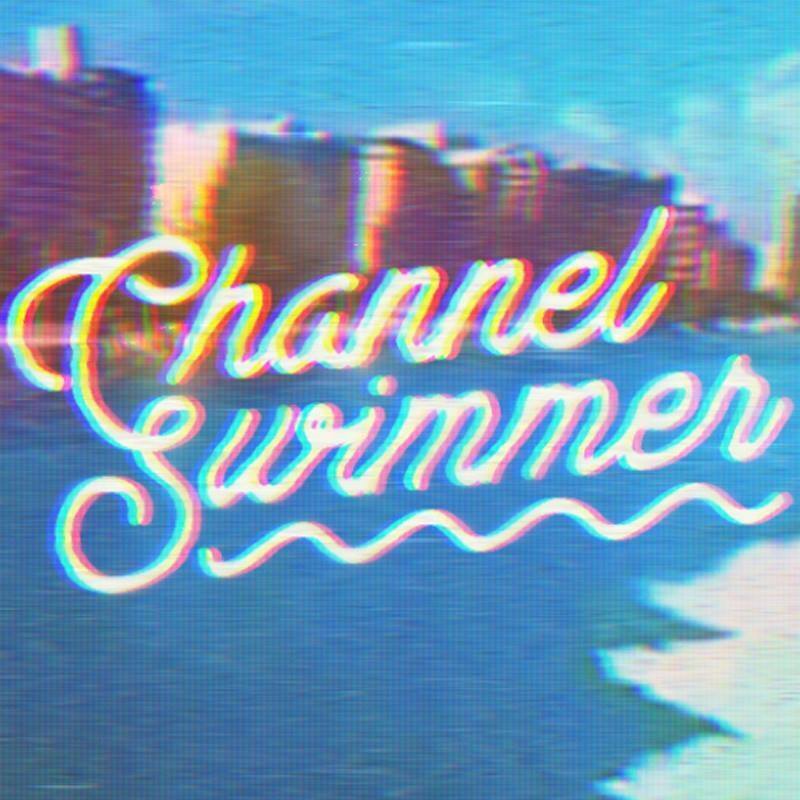 Check out ‘Poolside’ below, while we eagerly await details on Channel Swimmer’s new album, Souvenirs. And while you’re at it, if you haven’t already, check out Alphabet.